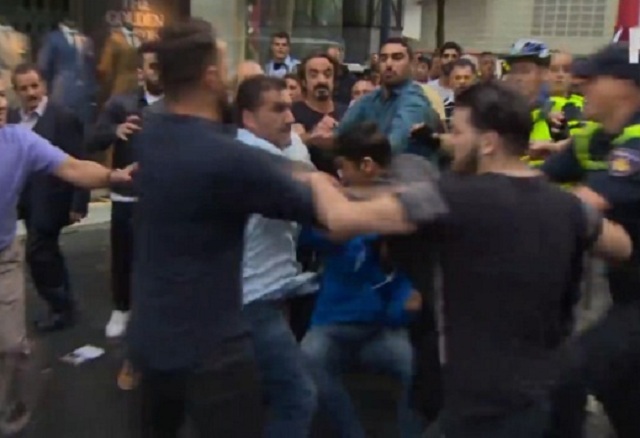 Thanks to Europe's open borders policies, the ongoing Kurdish-Turkish conflict is now being fought out in the streets of The Netherlands. The following video from Amsterdam shows what's described as "Kurdish PKK gangsters" and "Turkish nationalists" fighting with one another in full view of police. Notice how the Turkish nationalists don't want to live in their own nation? Same goes for the Kurds who should be fighting for their own people in Turkey if they want their own state. I guess they figure it's easier to just conquer the cucks in Europe. After all, as you can see in the video, it doesn't look like the police even arrested any of these thugs. Just last week, another Kurdish-Turkish war broke out in Vienna. Tourists in the central square of Austria�s capital fled in terror as Kurdish protesters and opposition Turks attacked each other with pepper spray. A demonstration over the weekend left at least one police officer injured in the central square of Vienna known as Stephansplatz where the St. Stephan�s cathedral dominates the skyline. Authorities say that the clash came as the result of the Kurdish protest that was marching along the road past the Vienna State Opera House and down to the cathedral. Police say that the march began peacefully at the opera house but escalated quickly after the Kurds reached St. Stephan�s square. Turkish counter-demonstrators are said to have initially hurled verbal abuse at the Kurds who replied with their own. Over a hundred Kurds are said to have responded to the Turkish insults with violence by spraying them with pepper spray. In the confusion one protester yelled �Allahu Ackbar!� into the crowd which panicked nearby tourists who were unsure if it was the sign of an incoming terrorist attack. Many tourists are said to have fled the square into nearby restaurants and shops. The aftermath of the chaos led several business owners who operate outdoor cafes to complain that their customers had fled without paying their bills. A similar tribal conflict was caught on video earlier this year in Paris. "Afghan, Somali, Eritrean and Sudanese migrants" broke into two groups and violently attacked one another with makeshift weapons and wooden pallets. Just yesterday, I showed another similar video in France where "unaccompanied minors" were seen throwing metal chairs at French locals in Rennes. 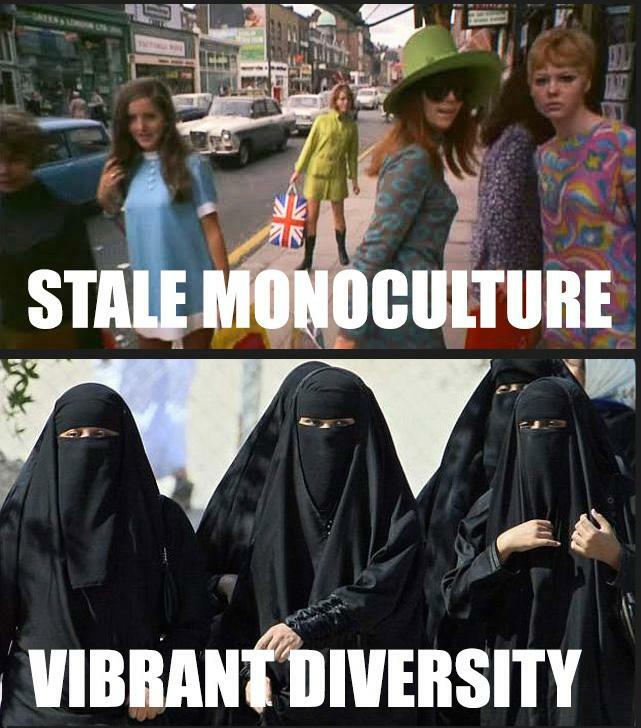 It's all part of the new vibrancy enriching the sh*t out of Europa. While it might look bad right now, Merkel has assured us these highly skilled migrants will soon be paying for our pensions.